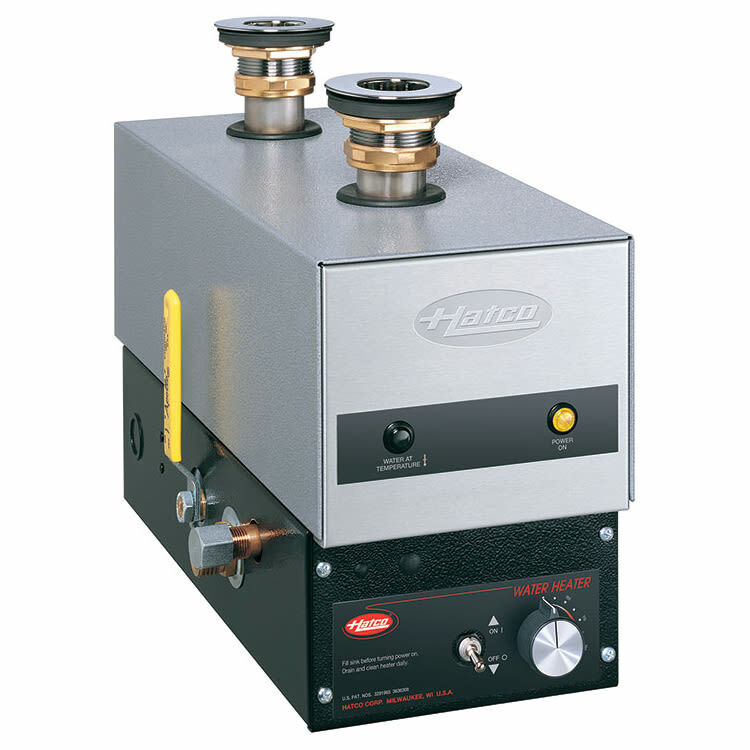 The Hatco FR-9 booster heater is a 9-kilowatt unit that can be used as a food rethermalizer or Bain-Marie heater, depending on the size of the vessel it is heating. Operators can use straightforward controls to set the temperature from 140 to 190 degrees Fahrenheit, and once water reaches the desired temperature, an indicator light turns on. If the unit grows extremely hot, the cut-off feature automatically shuts the it down to prevent the heat from damaging internal components. 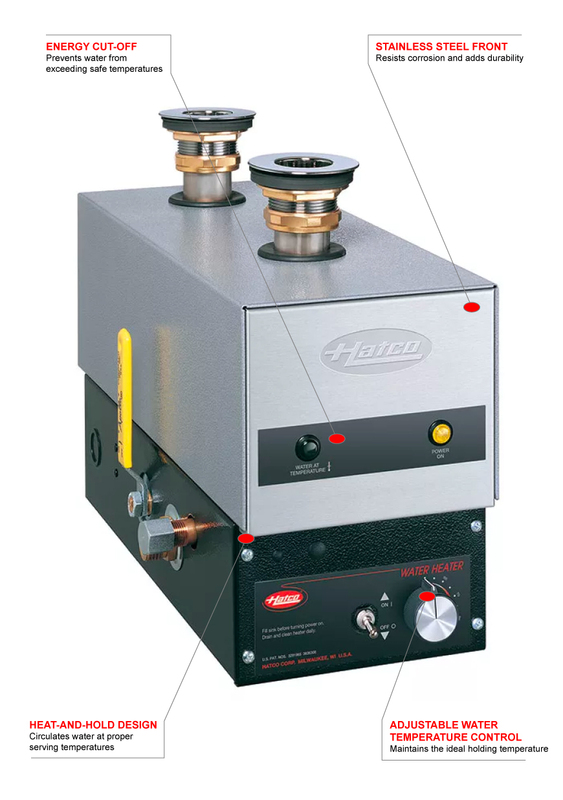 The Hatco FR-9 food rethermalizer and Bain-Marie heater features two compartments – one to filter debris out of the water and a second to heat water. Water from an attached vessel, such as a sink, is constantly circulated to ensure even temperatures throughout the water. To save energy, employees can switch the unit off when hot water is not needed, and the unit's stainless steel and hammertone construction is durable and dent resistant. 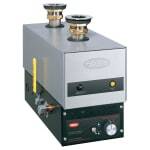 This explainer on booster heaters discusses these units in detail.